After the solid release of "Mortal Kombat" in 2011, Netherrealm Studios are back with a brand new fighting game. 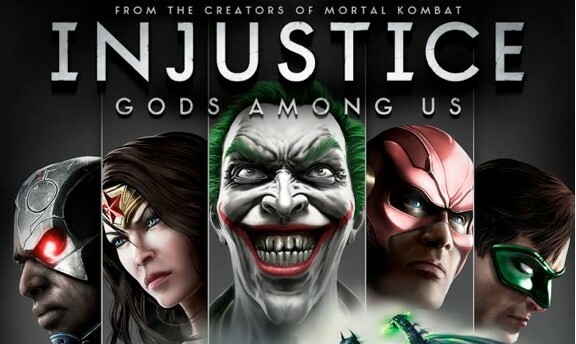 Injustice: Gods Among Us boasts a ton of features like an original Story Mode, Battles, S.T.A.R. Labs, multiple online modes and much more that will all be talked about in detail during this review of Injustice. Lets see if Netherrealm studios can start a streak of solid fighting game releases. Netherrealm Studios out did themselves again with the amount of content they are offering in this game, large amounts of content is a rarity in fighting games so I was very pleased with that to start of with, and this was only minutes after starting the game up! I went straight to online mode after being amazed by all that content, and thought "Yeah, this will probably be like MK controls so I am ready" I was so wrong. I didn't know how to properly block, I was getting slammed through walls, combo'd and easily beaten. After that I went straight to the tutorial arena (Like I should have done from the start) I recommend everyone to have some practice first before even getting into the "real" game. The tutorial allows you to learn pretty much everything the game has to offer in terms of gameplay. 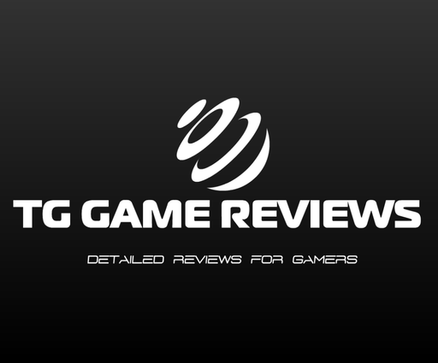 You will be taught the very basics and also advanced gameplay controls. During the tutorial I found out that blocking is done by either pressing back or down, sounds easy right? Well I found it to be pretty damn hard to block attacks in this game, I would however have preferred a block button instead but I do understand how people will like this instead of a block button, me personally though? Not a fan. After finishing the tutorial, I had a better understanding of how the game works as well as making me realize this isn't just "Mortal Kombat with DC characters"
Now I knew it was time to dig into the incredible amount of content, and I chose to play the Story Mode first. Story Mode follows the same pattern of Mortal Kombat from 2011, a cutscene plays, a fight begins, a cutscene plays, a fight begins and so on. There are 12 chapters to the story with each chapter being played by a different character, again similar to Mortal Kombat. I booted up the Story Mode with extremely low expectations but once it was finished I was kind of amazed how well the story mode was pulled off. I found it to be really fun to play and also felt the story being told was actually pretty good too. The story admittedly only lasts for around 3-4 hours but in a fighting game it doesn't really matter to me. A surprisingly good story mode was the sign to me that even more good things will come from Injustice and, I was right. After a satisfying story mode I decided to try out the battle mode, I had originally thought Battle Mode was just 1vs1 with a "cool" name added to it. I quickly released I was wrong, and in actual fact it was the Injustice's answer to Mortal Kombat's famous "arcade ladder" with a big twist, there are multiple battles with different settings. One Battle for example is called "Heroes Only" and well you guessed it... It features Heroes only! There are other ones similar to this like Villians Only or a Classic battle with everyone from the games roster being eligible to fight. Then there are battles that have an impact on the gameplay like "Poisoned" and "Survivor" "Poisoned Battle" lowers your characters health during fights due to the poison and "Survivor Battle" carries over your characters health after each fight, and you can only regain health by "Performing feats of exceptional skill" I loved the twist on MK's ladder mode and will provide even more replay value. 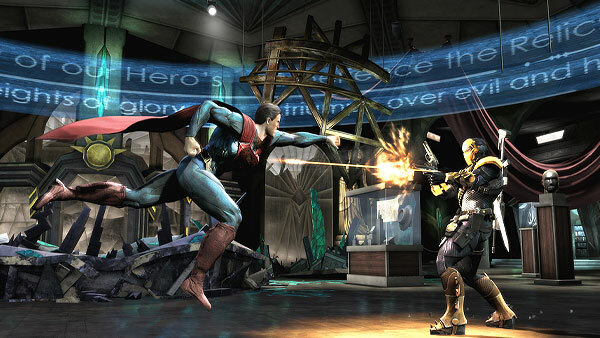 S.T.A.R Labs is the 3rd and final single player mode in Injustice. It is similar to Mortal Kombat's (How many times am I going to say this?) Challenge Tower and again with a twist. Each S.T.A.R Labs mission has 3 objectives to do and each objective you do earns you one star out of the 3 stars. Missions are varied and are not all normal 1vs1 fights some missions are 1vs1 fights but have a twist to them like survive for 20 seconds or save a citizen. Each of the 24 characters have 10 missions so that adds up to 240 missions!! Add that to battles and story mode, and you are looking at quite a lot of game time here. 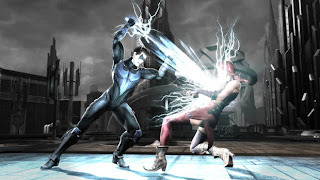 Injustice's Combat felt familiar due to me playing MK 2011 for like 50 hours, combos and special moves feel very similar in terms of controls/commands but the way I see it is everything that was great from Mortal Kombat's gameplay has been added while also adding additional features that separates itself from the Mortal Kombat comparisons. One of the first differences I noticed is Injustice breaks away from most fighting games tradition by just having a straight up fight and that is all, no "ROUND 1! FIGHT!" it's just "Begin" and then start throwing until the other guy is out for good. I liked the change of pace with this one round only formula, it made the fighting just non stop action rather than a stopping and starting fight. Fighters have two health bars in Injustice one is silver colored and one is red colored, it kind of reminds me of Mass Effect or Borderlands shield and health bars. Once your silver bar is fully drained you won't be able to get up for about 5 seconds while the other fighter taunts you. A wager system/combo breaker has also been added to fights which are known in this game as "Clashes", these "Clashes" are only allowed to be used once in a fight, and the clash wager is won by whoever bets the most of their "special meter" The execution of "Clashes" isn't great but the one liners before the "Clash" are really well done but sadly that is all the good that comes out from the clash system. The one feature I absolutely love in this game is how interactive the arenas are. Parts of every arena can be used to your advantage, for example you can pick up cars and throw it at your opponent, you can kick you opponent behind the 2.5D area into a piece of the arenas environment (Computers in the batcave for example), freeze your opponent by breaking a pipe and many, many other different and hilarious ways to attack your opponent using the arena. 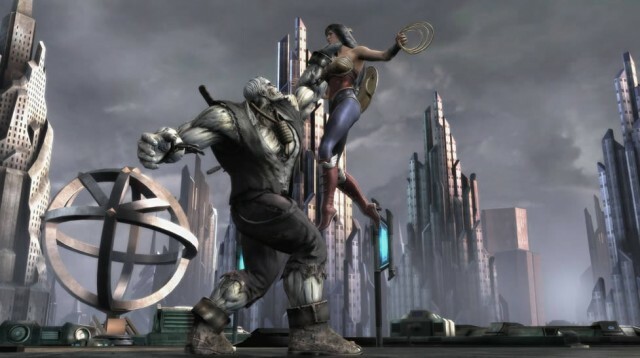 The best part of the interactive areans is being able to transition from one area to another by using a very heavy attack that can make your opponent go flying all around until the character reaches the next area, my favorite transition has to be Arkham Asylum's as you can punch your opponent into a cell that has Scarecrow locked up inside which leads to crazy results and then the 2nd transition knocks the character into an area full of the Arkham series villians like Two Face, The Riddler and about 4 others that beat the hell out of you and throw you back in the arena. The arena transitions was an awesome feature that I would love to see in more fighting games. Injustice: Gods Among Us was another solid fighting game from Netherrealm Studios, I liked how they tried to change things up with Injustice to try and break away from the Mortal Kombat shadow. They added tons of new features not seen in MK like the clash system, 1 round fights (I know you can in MK but they are extremely short), 2 health bars, very interactive arenas, XP and levels (Up to 100) which is earned in every mode in the game even a random 1vs1 game. It will still feel similar to people but it doesn't really matter because the game is still solid and really that is all that matters. There is plenty of content and fun to be had with Injustice: Gods Among Us, and should be a 100% purchase for all fighting game fans.